In Fair Housing Act Case, Supreme Court Backs 'Disparate Impact' Claims : The Two-Way The court decided the case 5-4, saying that claims of racial discrimination in housing cases shouldn't be limited by questions of intent. The Supreme Court handed a victory to the Obama administration and civil rights groups on Thursday when, by a 5-4 decision, it upheld a key tool used for more than four decades to fight housing discrimination. Civil rights groups won a victory Thursday, as the Supreme Court ruled that claims of racial discrimination in housing cases shouldn't be limited by questions of intent. 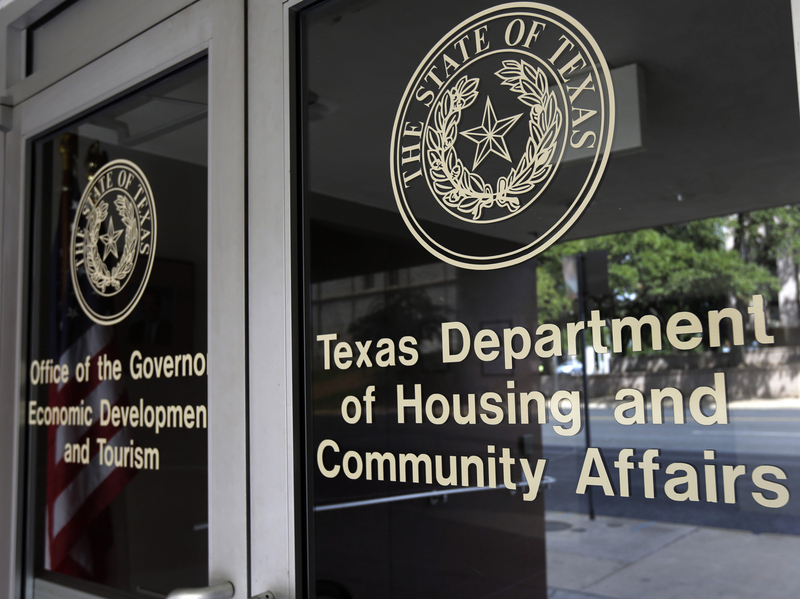 The court affirmed a Court of Appeals decision in a case in which a nonprofit group, the Inclusive Communities Project, said that the Texas Department of Housing and Community Affairs had contributed to "segregated housing patterns by allocating too many tax credits to housing in predominantly black inner-city areas and too few in predominantly white suburban neighborhoods." The 5-4 ruling endorses the notion of citing disparate impact in housing cases, meaning that statistics and other evidence can be used to show decisions and practices have discriminatory effects — without proving that they're the result of discriminatory intentions. "Justice Anthony Kennedy surprised many legal experts by siding with the court's four liberals," NPR's Carrie Johnson reports. "Business groups had long sought to limit lawsuits over the 1968 Fair Housing Act." Reacting to the ruling, Attorney General Loretta Lynch says, "While our nation has made tremendous progress since the Fair Housing Act was passed in 1968, disparate impact claims remain an all-too-necessary mechanism for rooting out discrimination in housing and lending." The majority wrote, "Recognition of disparate-impact claims is consistent with the FHA's central purpose" of ending discriminatory practices in housing. The justices wrote, "These unlawful practices include zoning laws and other housing restrictions that function unfairly to exclude minorities from certain neighborhoods without any sufficient justification." But the dissenting justices say that Thursday's ruling creates a legal liability that wasn't intended in the original 1968 law. The ruling brings clarity to an issue that had lingered in doubt: Are plaintiffs in housing discrimination cases required to prove an intent to discriminate? Or is it enough for them to show that some practices have an outsized negative effect on minorities? Two previous high-profile cases had been settled, as neither side was willing to risk a defeat in the Supreme Court. The court decided the case 5-4; Justice Clarence Thomas wrote a dissenting opinion, as did Justice Samuel Alito, whose opinion was joined by Thomas, Chief John Roberts and Justice Antonin Scalia. "By any measure, the Court today makes a serious mistake," Alito wrote in his dissent, in which he said the majority opinion went too far in applying the Fair Housing law. Alito said Congress intended to cover disparate treatment — not claims of disparate impact. Adopted in 1968, the Fair Housing Act says that it is illegal to "refuse to sell or rent... or to refuse to negotiate for the sale or rental of, or otherwise make unavailable or deny, a dwelling to any person because of race." He wrote, "The Court acknowledges the risk that disparate impact may be used to 'perpetuate race-based considerations rather than move beyond them.'" In a shorter dissent, Thomas said the foundation of the majority's ruling "is made of sand." Thomas said that the court's 1971 ruling in the Griggs v. Duke Power Co. case, which had authorized disparate impact claims, represented "the triumph of an agency's preferences over Congress' enactment and of assumption over fact." The Fair Housing Act — and the deep correlations between housing and poverty in America — was put under new focus back in 2013, when journalist Nikole Hannah-Jones dove into the issue for ProPublica, as part of a series titled Segregation Now. "I knew housing discrimination was illegal, but that's about it. So, many things surprised me along the way, but two facts surprised me most. One, it was kind of unbelievable how egregiously little the governments — federal on down — have done to enforce this landmark civil rights law. I discovered governments have largely spent the last 45 years going about their business as if this law didn't exist, and in fact, were often taking actions that came out on the wrong side of the law. Two, I was literally taken aback by the fact that this law not only called for an end to housing discrimination, but that it mandated that the federal government wield its considerable powers to take affirmative steps to break down that housing segregation it created."